We are conviently located in the heart of St. Petersburg's yachting capital. Nautical charts show it as ‘Pine Key’ but almost every local boater knows it as Beer Can Island. As its name suggests can get crowded on the weekend with many people enjoying a few of the Island’s namesake beverage. 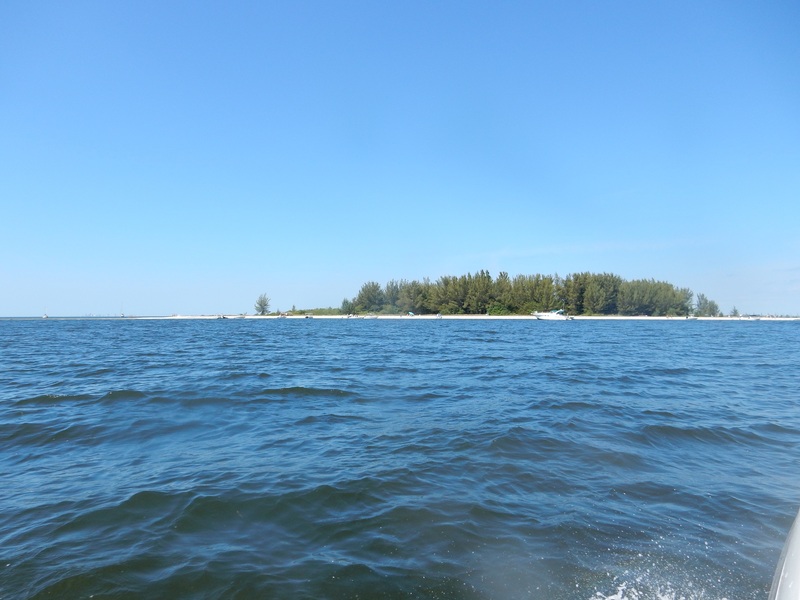 Located near Big Bend Channel, just off Apollo Beach Nature Preserve, Beer Can Island is a nice island with several areas to enjoy both the island and the water. Depending on the storms and tides, it’s size may vary. This popular weekend spot is also known as a good spot for shelling. Just north of Tarpon Springs along the Intracoastal Waterway you’ll find Anclote Key. Enjoy the blue-green Gulf waters that lap gently along the sandy beaches of Anclote Key. Accessible only by private boat or ferry service, you’ll immediately notice the picturesque 1887 lighthouse standing on the southern end of the island. Visitors can swim and sunbathe at the beach, fire up a grill for a picnic or pitch a tent and enjoy a night of camping under the stars. There are no provisions offered on the island, so come prepared with your own supplies. 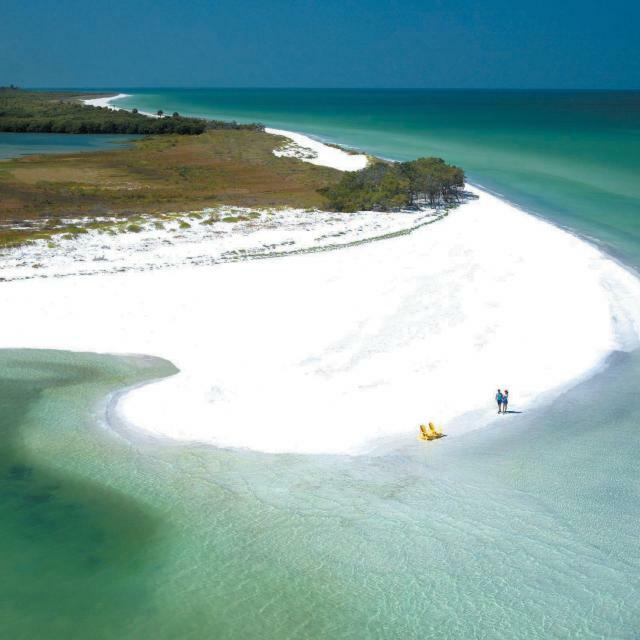 As one of the few completely natural islands along Florida’s Gulf Coast, Caladesi’s white sand beaches were rated America’s Best Beach in 2008. Located in Dunedin, you can enjoy swimming, sunbathing and beachcombing. Anglers can cast a line from their boats or surf fish. Sporting a three mile nature trail, you can explore the nature trail through the island’s interior. Picnic tables and shelters are located near the beach for a midday meal, and picnic pavilions can be reserved for a fee. Caladesi’s marina offers electric and water hookups, as well as a snack bar & gift shop. The marina at Compass Cay, located in one of the rare totally protected harbors in the Exumas, is accessible from the Exuma Banks and the Exuma Sound through channels marked with buoys and range markers. The island attracts boats of all sizes up to 180’ mega yachts. 30, 50 and 100 amp electric, reverse osmosis water, laundry and shower facilities are available. Boats with up to six foot draft at low tide and eight foot at high tide can enter the harbor from the Bank by following the channel markers and a range. At low tide, vessels of up to six feet may also enter the main Cut of Joe Cay. Tucker will cheerfully guide the first time voyager into the harbor, where depths range from 10 to 16 feet. The marina store has ice, beer, soda, bottled water, limited sundry and food items, clothing and a friendly, relaxed atmosphere. Fuel available, about five miles away, at Staniel Cay. Tucker invites you to stay the night or stay the season. 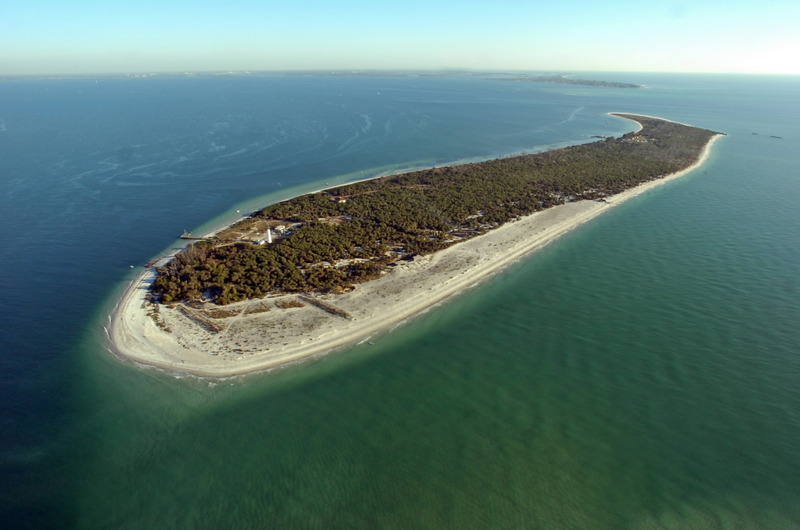 Although a wildlife refuge, Egmont Key offers those with a boat their own personal refuge. Located at the mouth of Tampa Bay, southwest of Ft. De Soto, you’ll find secluded, pristine beaches with places to relax, collect shells, swim, fish and picnic. Offering immense history on the island, there are many historic sites and trails visitors can enjoy. Just off Key Largo, within John Pennekamp Coral Reef State Park and the Florida Keys National Marine Sanctuary is an extraordinary underwater universe: canyons and mountains of living rock, schools of fish moving in synchronized Technicolor, shipwrecks, and oddities like the Christ of the Abyss, an 11-foot bronze statue. 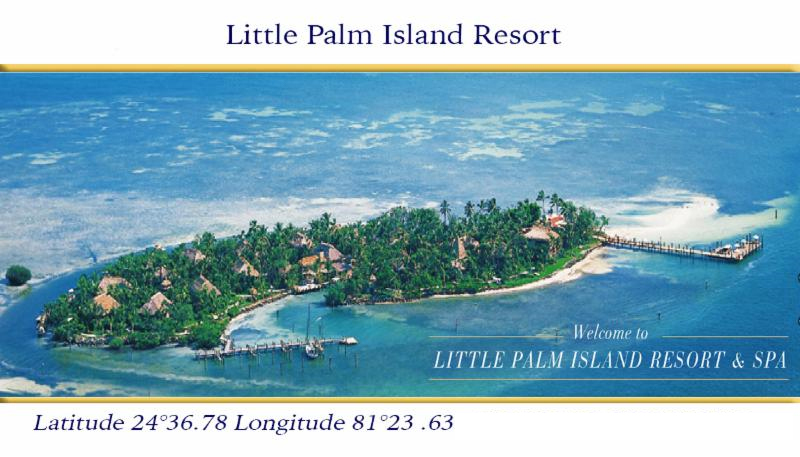 If you're in the mood to splurge...Little Palm Island is the answer. There are 30 duplex units on a mere six acres, so privacy, while respected, is secondary to a sense of isolation. 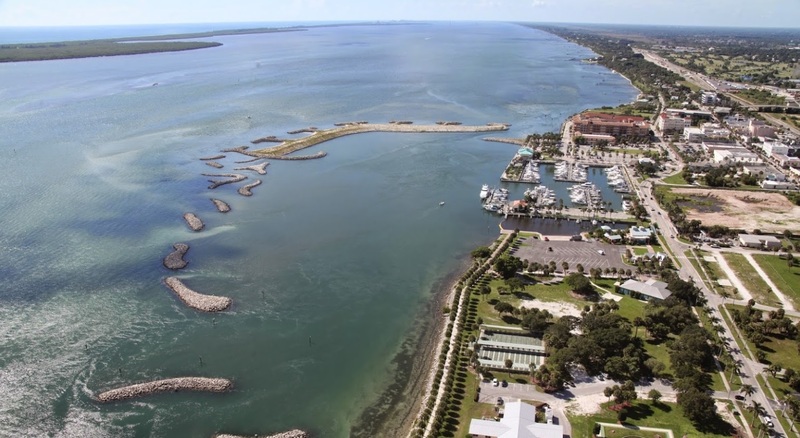 After all, only a select few are willing to spend upwards of $895 a night in the Keys... marina slips will accommodate vessels up to 120 feet in length with a draft up to six feet, in addition to 575 feet of dock space bordering a protected lagoon, ideal for smaller boats. A piece of paradise discreetly located off the fabled Florida Keys coastline so remote it's only accessible by seaplane or boat. A best-kept secret for US presidents and celebrities, your escape is simply waiting to drink you in. No phones, no TVs and no shortage of fun and romance. Can you live without your iPhone? Come visit and find out! Romance abounds in air-conditioned thatched roof bungalow suites, with custom-made beds draped under plush mosquito netting. White paths of crushed seashells meander through nearly six acres of tropical flowers, palm trees and sandy beaches. Enjoy the isolation of an outdoor shower, a dip in your private hot tub and every one of the requisite luxuries. 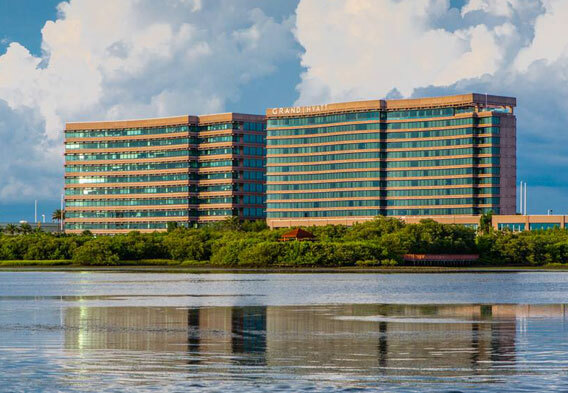 Just south of the Courtney Campbell Causeway, at the east end of Old Tampa Bay, you’ll find the Grand Hyatt Tampa. With Armani’s restaurant located high atop the 14th floor, you’re captivated with breathtaking views of Old Tampa Bay through floor –to-ceiling windows. This fine dining establishment boasts accolades from the most discriminating palates. Oystercatchers also offers a tremendous selection of steak & seafood with a more casual atmosphere. The Hyatt’s 1823 Kitchen & Bar offers breakfast, lunch and dinner. Overnight docking is not permitted, and be sure to check the tides prior to heading to the Hyatt, as the depth at the dock can vary significantly depending on the tide. 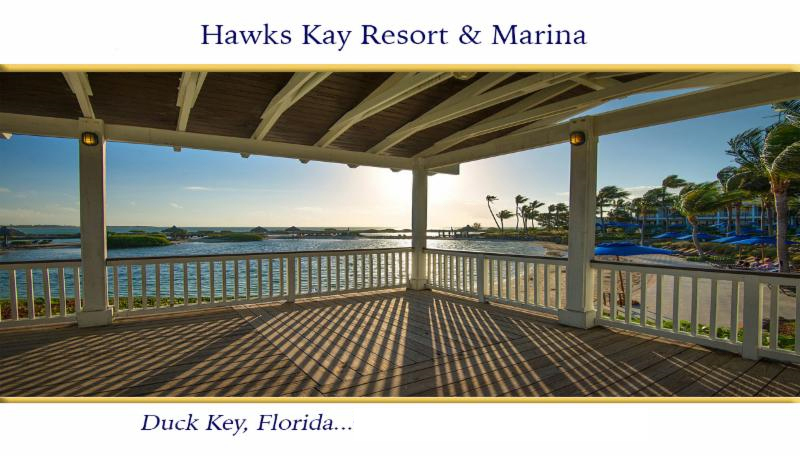 Hawk's Cay Resort is a 60-acre playground geared largely toward families, sportsmen, and conventioneers. Besides the 177 guest rooms, there are 269 villa units and an 85-slip marina. Yes, it's gargantuan, and it can feel crowded, but the resort provides plenty of opportunities to filter out the noise and focus your mind-whether on a tennis ball, the massage you're getting at the brand-new spa, or the tug at the end of your fishing line. Hawk’s Nest Resort & Marina is a tropical beachfront paradise on the southern tip of Cat Island. Take a bit of history, island style accommodations, fine dining, a marina, PADI diving, activities and a private airstrip mixed with a young, energetic staff who strive to give personalized service, and you’ve got the makings of a spectacular holiday. The 28-slip marina has all the personalized services and amenities visiting boats require. Two air-conditioned fish-cleaning houses, 40,000-gallon diesel storage, 50 and 100 amp (two 50s) electric pedestals. Fresh water and ice plus showers and laundry are always available. We have 7-foot draft at MLT with a well-marked marina entrance. Inside marina basin is 10 feet and deeper. All marina guests are welcome to utilize the fresh water pool and clubhouse/bar and all the additional amenities Hawk’s Nest Resort has to offer. With direct access from Nassau Harbor, Atlantis Marina features 63 mega-yacht slips. A 100-foot-wide channel, located to the west of the north-bound Nassau/Paradise Island Bridge, allows for unrestricted mast height on sailboats and easy access for power boats. Both the channel and Atlantis Marina feature a minimum water depth of 12 feet at low tide. Within a protected harbor, the largest of the 63 slips are 160 foot finger piers with a 35 foot beam, plus several lay-along-side berths with no beam restrictions. 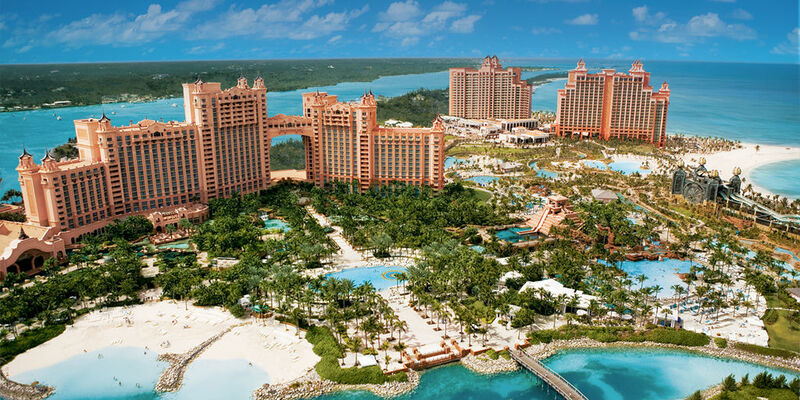 This is a world class destination with fine dining, luxury hotel accommodations, full service waterpark for the kids, and it’s in the heart of the Bahamas. Located right in the middle of Daytona Beach, this 550 slip marina is owned by the city of Daytona Beach and has great facilities for full-time boaters and transients. Right off the intercostal waterway and about 8 miles north of Ponce Inlet, it is a great spot to relax and spend a few days during your trip. Floating docks make for easy docking. The Ft. Pierce City Marina underwent a big restoration and renovation project that was completed in June of 2015. The improvements added an additional 137 new floating dock slips and a sturdy island system to protect them from bad weather. Ever wondered where Joe's Stone Crab in Miami Beach gets the gall to charge some $50 for a portion of claws? The answer comes from Keys Fisheries Market & Marina the harvesting affiliate of the famed restaurant. 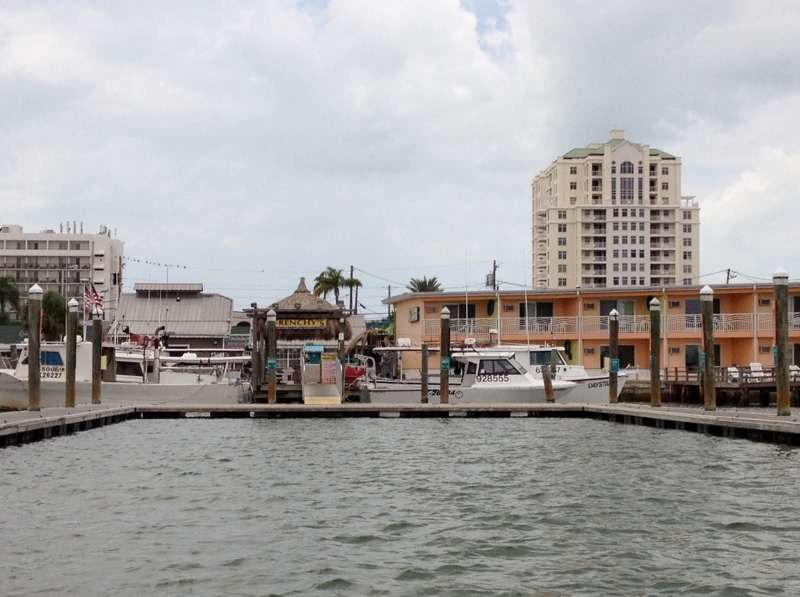 Keys Fisheries has an on-site marina where guests can visit for lunch or dinner by water or secure dockage up to 60 feet for short and long-term stays. For visitors looking for a taste of the Florida Keys without the necessary travel time from far flung destinations to our home here in Marathon, we offer a comprehensive Online Seafood Market where you can purchase some of the most fresh, local and delicious seafood that the State of Florida has to offer. In our Online Seafood Market, visitors can purchase in-season fresh Stone Crab claws, fresh Florida Lobster tails and our sumptuous pre-made soups. 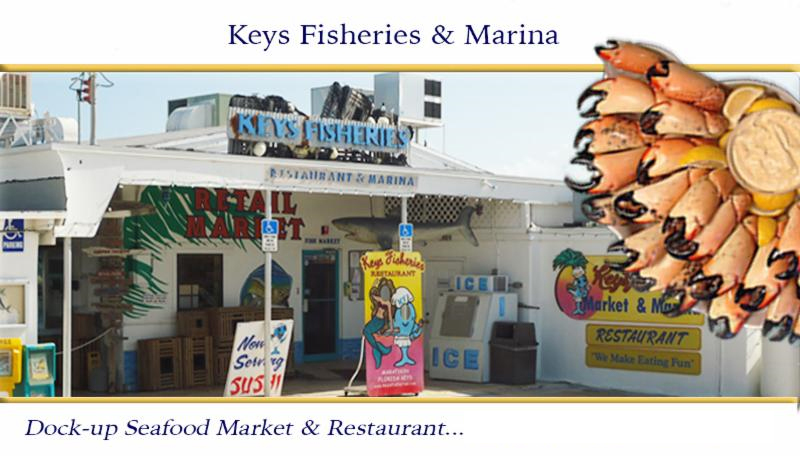 Additionally, Keys Fisheries has an on-site marina where guests can visit for lunch or dinner by water or rent dockage for short and long-term stays in the fabulous Florida Keys. Our marina provides dockage for boats up to 60 feet in length while providing easy access to and from the marina for efficient transfer back to the mainland or to other amenities throughout the Florida Keys. Located directly on Tampa Bay, on the west end of the Gandy bridge, The Getaway is nestled along the serene waterfront of Weedon Island Preserve. In addition to their multi-level Tiki Bar, I.C. Sharks has an excellent Raw Bar and one of the freshest seafood markets in the area. With docking for multiple boats, you can watch dolphins & manatees swim by while relaxing old-Florida style. Just south of the Gandy bridge, on the east side of Old Tampa Bay is Hula Bay. Offering Hawaiian inspired food, with a lively poolside lounge and dockside dining, you can soak in the lush, laid-back landscape of an island paradise. With Sunday pool parties, signature seafood dishes and live music nearly every day of the week, Hula Bay’s heavenly waterfront is an oasis not to be missed. In Clearwater Beach, the iconic Frenchy’s Saltwater Café is a family-friendly, laid back place offering open-air dining inside and outside on the wrap around patio. Saltwater Café is the originator of the Grouper Rueben sandwich and features other unique items such as octopus dishes, conch fritters, buffalo shrimp and specialty salads. You can tie up to their floating dock at the south side of Mandalay Channel, north of Memorial Causeway (27.58.75 longitude, 82.49.53 latitude), then walk across the street for a bite to eat. Frenchy’s also offers Dockside-To-Go! Simply call in your order to (727) 461-6295, pull up to the dock and they’ll run your food out to you! Located in Downtown St. Petersburg, just at the foot of the old Pier, Fresco’s has been a staple dockside restaurant for over 20 years. Offering a daily happy hour from 4-7, Fresco’s also has an excellent brunch beginning at 10am on Sundays. This laid-back dockside spot serves food & drinks in a casual atmosphere indoors & outdoors with stunning views of the bay. 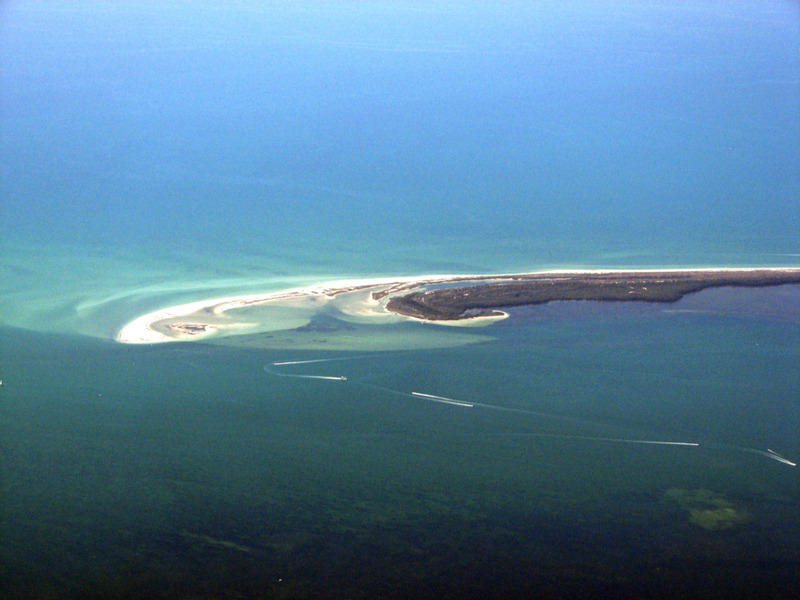 Located right inside the Venice Inlet, one of the easiest and safest passes on Florida’s West Coast. It is protected by rock jetties as you enter from the Gulf of Mexico and has pristine beaches with clear and clean water. Just as you enter the pass, the Crow’s Nest is located on the south side. It offers more than 400 feet of transient fixed docking that is well maintained and has 30 and 50 amp power on the docks. It also has easy access to the fuel dock, which offers both gas and diesel. Make sure to ask for your BoatUS or Sea Tow discount on dockage and fuel. There is a current that runs through the pass, so be aware of its direction as you set up your docking approach. There are clean showers and heads at the marina and pump-out is available. The onsite restaurant is outstanding and stays very busy. You will definitely want to eat here during your stay. The restaurant is located upstairs and the bar/restaurant is located on the first floor. They do have a small ship store onsite and offer bait. There is a convenience store located approximately a mile away and a Publix a couple of miles away if you need to do any re-provisioning. The beaches are well within walking or biking distance on the complimentary bikes that are available. 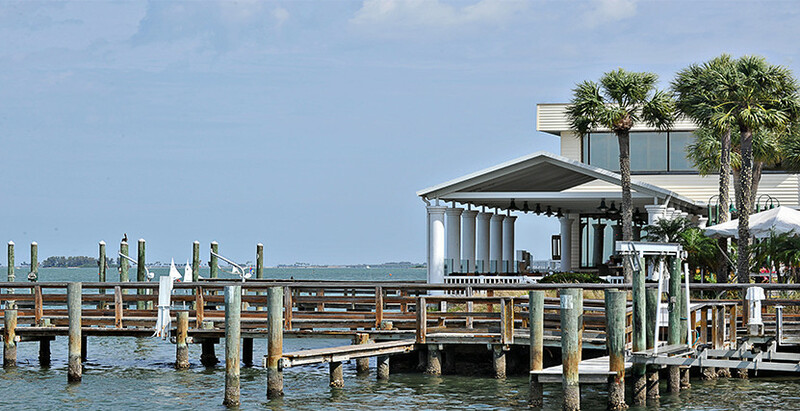 This is a great stop-over location as it has quick access to the Gulf and direct access into the ICW to head north or south. It is located south of Sarasota and north of Boca Grande. 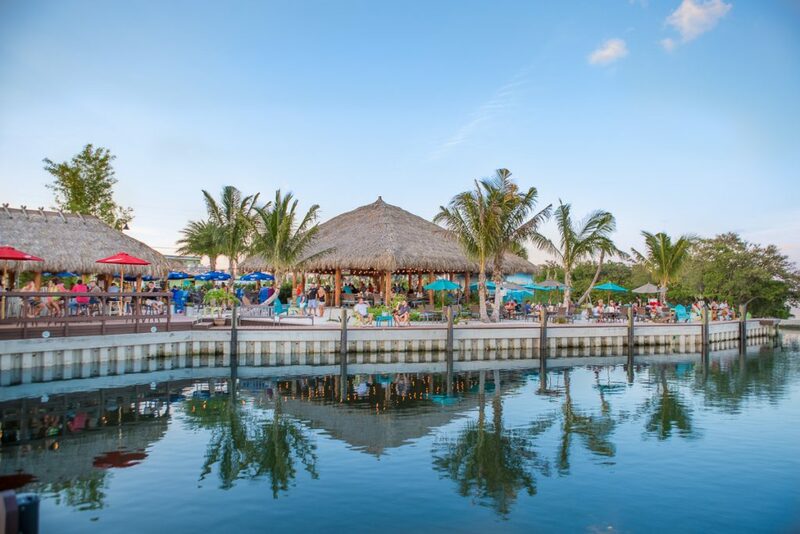 Conveniently located in Apollo Beach at Lands End Marina, Circles Tiki Bar is the perfect addition to a day boating, and to enjoy Florida nightlife while hanging out with friends. Surrounded by palm trees and lush tropical landscaping, the bar is on the water adjacent to restaurant seating. Overlooking the stage & dance floor, you’re in a prime spot for spectacular sunset and nighttime views of boats at the marina and scenic Tampa Bay. Featuring live music during spring – summer, Circles also offers a variety of bar specials every Friday & Saturday night. Be sure to bring your friends or be prepared to make new ones! 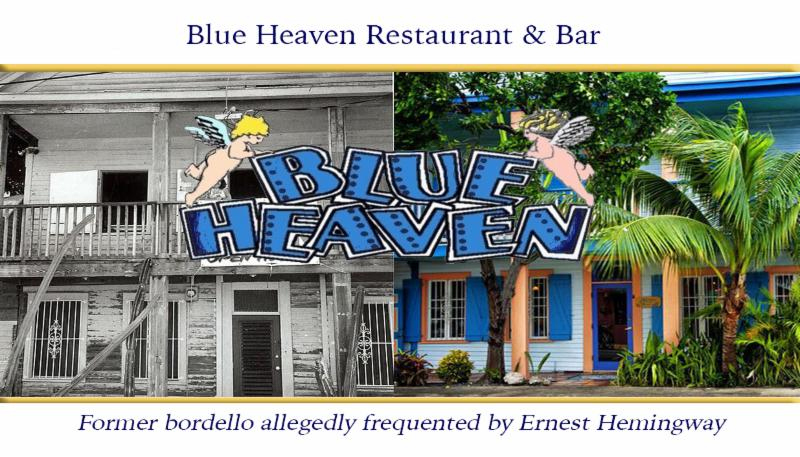 In a former bordello allegedly frequented by Ernest Hemingway-hardly a unique claim in Key West...Blue Heaven is huge among the locals for a lively bar and breakfast in the backyard, complete with picnic tables and clucking chickens. It might seem odd to eat eggs in such company, but the omelettes shouldn't be missed. 729 Thomas St. Key West. 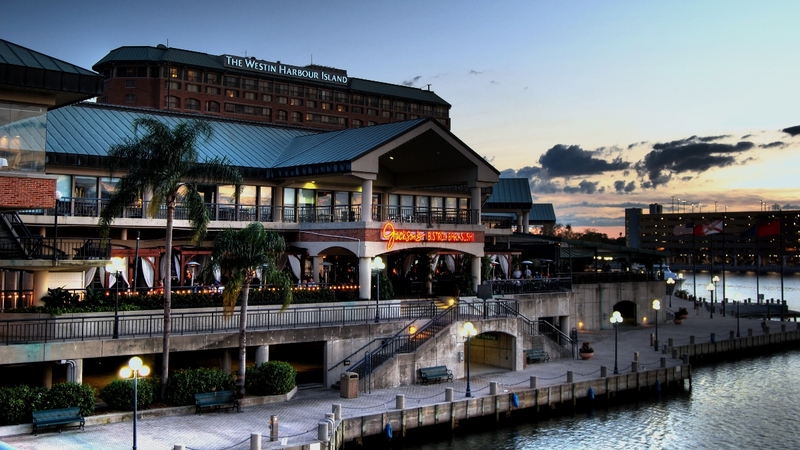 Voted Tampa Bay’s best waterfront restaurant, this landmark restaurant is located on the waterfront of the Dunedin Marina. 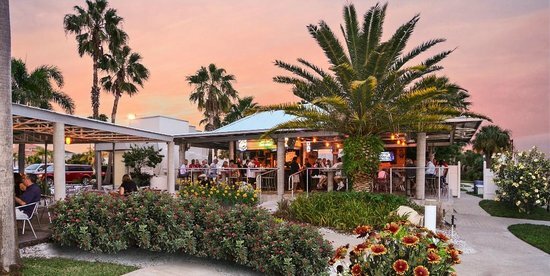 Bon Appetit offers casual waterfront dining in a sophisticated setting with stunning views of St. Joseph Sound, Honeymoon Island and Caladesi Island. Featuring a Daily Happy Hour from 11:30am – 5:00pm at their Waterfront Bars, Bon Appetit also offers live entertainment most evenings (weather permitting). The sunset views from the waterfront here are breathtaking. The restaurant features a pianist Wed – Sun and the bar has an extensive list of Caribbean inspired tropical cocktails. There's no place you can't fish in the Keys, but Islamorada is known as the Sportfishing Capital of the World, and rightfully so. More world record fish have been caught from these waters than any other location on earth. 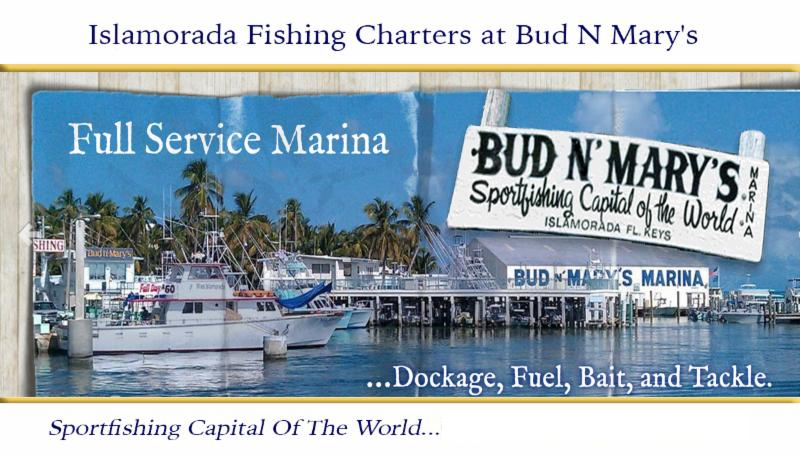 If you're looking for great dockage mid-keys, check out Bud N' Mary's Fishing Marina, Islamorada. 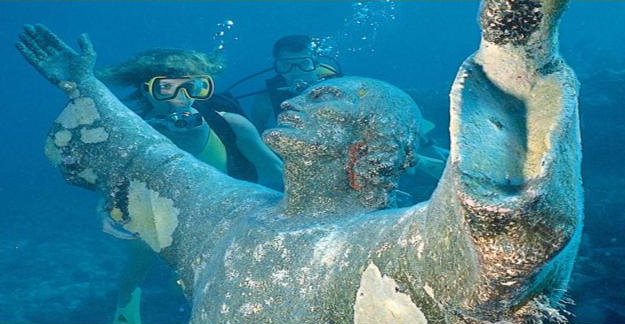 Established in 1944, Bud N' Mary's is home to over 40 legendary fishing captains and guides, and is the oldest and largest fishing fleet in the Florida Keys Fishing industry. Featuring a menu dominated by fresh seafood, their own boats make daily trips to the middle grounds to bring back fresh tuna, mahi, snapper and other local fish. Island Way Grill has one of the area’s best known brunches. Sunday Brunch features an array of fresh seafood, omelet station, sushi bar, oysters on 1/2 shell, blueberry blintz, smoked fish spread & more! 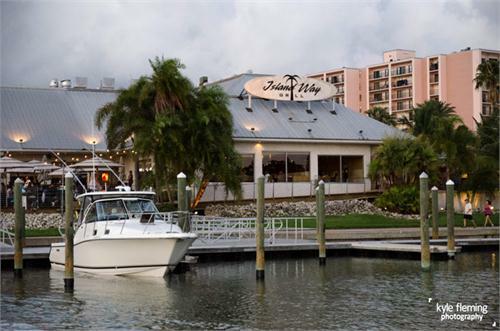 Located in Clearwater, Island Way offers plenty of dock space, a welcoming atmosphere and cooking that revolves around their oak and citrus fired open pit. With breathtaking water views and award winning cuisine, Jackson’s will provide you with an upscale modern dining experience. Located conveniently on Harbour Island, near the Tampa Convention Center, the Bistro is open for lunch and dinner 7 days a week and offers a portfolio of over 500 wines. If you’re looking for a more casual atmosphere, the Island Bar or Back Jack’s Lounge has you covered. Their Sunday brunch is not to be missed and begins at 10:30 Sunday mornings. For those looking for a taste of Tampa’s nightlife, every weekend Jackson’s NightClub will provide you with live music, dancing, VIP tables and cabanas! Be sure to call ahead for reservations.